For a so-called black sheep, Yukon Jack isn’t much of an outcast. The overproof liqueur has been popular ever since it stormed the border 45 years ago. How’d it become popular? We can probably rule out delicious taste. All the Yukon Jack recipe amounts to is Canadian whisky tinged with honey, which is not exactly a new idea. 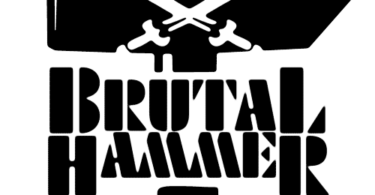 Instead it was a fortunate name and clever marketing that turned an ordinary liqueur into an enduring hit. Yukon Jack first appeared in the US in the early 1970s, imported by Heublein Inc., a food and beverage company based in Hartford, Connecticut. Back then Heublein owned Kentucky Fried Chicken and Grey Poupon, Smirnoff vodka and Hamm’s beer, to name just some of its properties. Any company that could turn a mustard ad into a catchphrase figured to do just as well with honey-based liqueur. The brand name certainly helped. The story goes that Yukon Jack was named after Jack McQuesten, a 19th-century gold prospector who lived an adventurous life on the Yukon frontier. Whether the whisky was really named for him or not, it was the same as a certain other whiskey called Jack that was on the rise in the 70s. Heublein’s marketers billed this new import as “The Black Sheep of Canadian Liquors,” another copying of Jack Daniel’s and its outlaw image. They launched an advertising blitz that put Yukon Jack ads — featuring elaborate artwork and even a little poetry — into every outdoors magazine in the US for months on end. Field & Stream ran a contest (proof-of-purchase required) with a fly-in fishing trip to the Yukon as the grand prize for one lucky Jack drinker. Jack was instantly on the map, and soon it was a big seller. Over the years Heublein kept plugging away, pouring out the ads, always emphasizing Jack’s rugged and independent spirit. 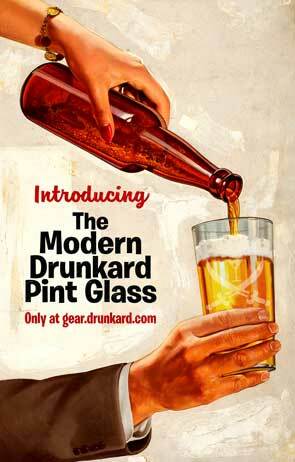 It didn’t hurt that the ads and label also pointed out, in bold print, that Jack was 100 proof. Alas for Heublein, the over-diversified company fell to pieces in the 1990s. 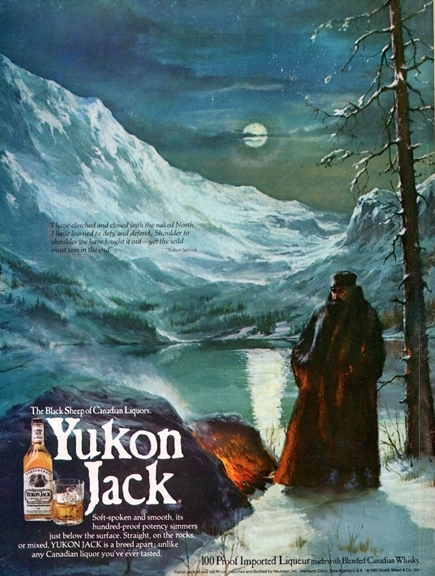 Yukon Jack was acquired by Diageo Corp. and the advertising dollars stopped flowing. Diageo still owns the label today, though you won’t even find a page for it on their corporate website. And yet, despite years of neglect, Jack is still earning its keep. It’s available in every dive. Dozens of cocktails and shots use Yukon Jack as an ingredient. It even has multiple spinoff versions, including the inevitable Fireball knockoff (Yukon Jack Wicked Hot) that appeared in 2013. Thanks to good marketing and good luck, this black sheep is a long way from being put out to pasture. Drinking regularly lowers risk of diabetes, massive Danish study reports.